Not much going on lately, a lot of running around town, trying to get things done that have been sitting on the back page of the planner. I finally got my sewing machine to a repair shop and heard what I thought I was going to...it was a bargain machine, all the internal gears are made of plastic, etc..I knew that when I bought it two years ago. He said that every person who buys a Singer machine on close-out somewhere runs it for a year or two and then it basically goes in the trash. I don't exactly have the money for an amazing machine, but I will need one, so I might check out a used one. Right now, with Bible Institute starting back up on Mondays, Phoenix day (as we now call it) on Tuesdays, and library/errand day on Wednesdays, I'll probably not touch a sewing project for a while anyways. But, if anyone knows of a great sewing machine that won't break the bank, let me know! 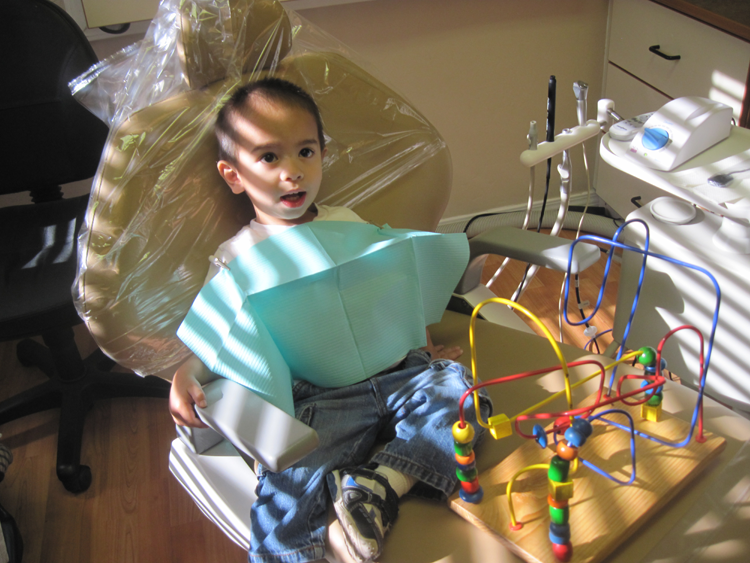 I took Timothy for his first dental appointment. I was really waiting for this emotional breakdown, screaming-in-fear situation, but he did great. No cavities. Yeah! 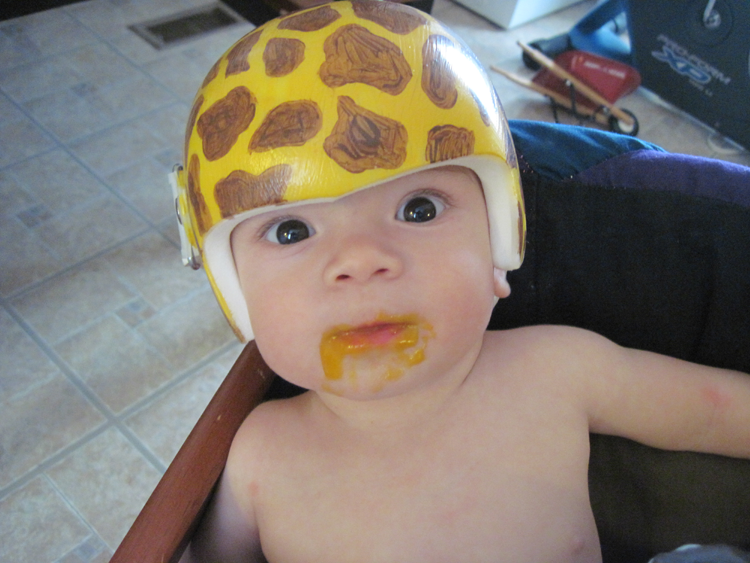 And lastly, the picture you've all been waiting for- Nathan's Helmet...complete with a squash-on-the-face smile. I think it's adorable, although, I'm questioning myself on whether I should have done something totally masculine because people still mistake him for a girl! Maybe I'll just tag on the back: "I'm a BOY"
Nathan has the appetite of a horse! He eats two jars of food a day, with cereal, and he's not even supposed to start food until next week. Timothy wouldn't take food until 7 months and even then it was semi-forced. Every baby is different...and I hear mine stirring in his bed. Hope everyone is having a good morning!